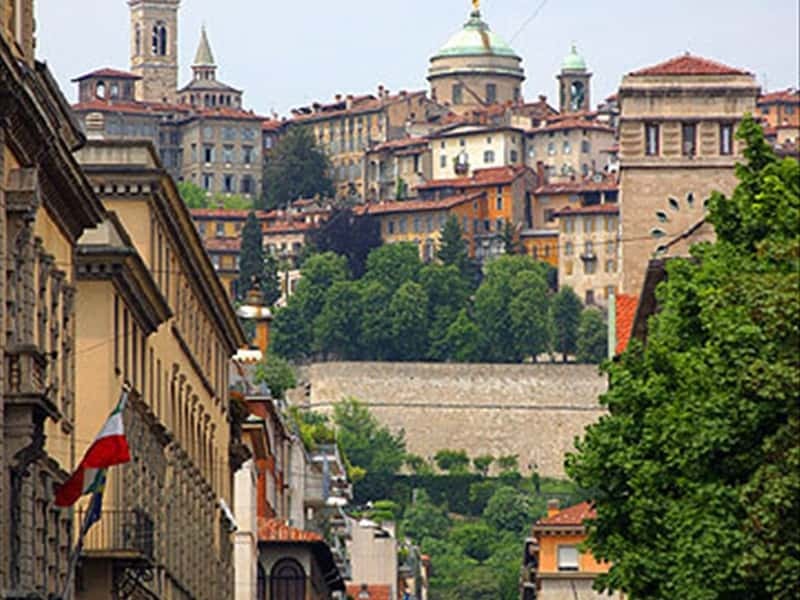 The province of Bergamo is the linking ring between two extremely different natural environments: the Padan Plain and the Alps chain. The Orobiche pre-Alps are the starting point of wonderful natural sceneries which spread all over the region. Rivers and torrents deeply dig the valleys which preserve an uncontaminated, often impervious, nature: from the wide and lush peaks of Val Seriana and Val di Scalve, to the wonderful mountains of Val Cavallina, laying down on the Lake of Endine, which is embellished by tiny medieval villages. Proceeding southwards, the green, gently rolling relieves of the hilly belt, behind the plain and the Alps, offer sceneries that are unique both for the harmony of shapes, and for the very well kept cultivated areas situated along the hillsides. The plain land, instead, is entirely embraced by the hydrographic basin of the river Po. However, the abundance of water of this land is mainly due to the presence of a huge web of rivers, such as Adda and Oglio, and a series of other smaller streams, such as Brembo, Imagna, Enna, Serio as well as many other minor ones. In addition to the good effects of the presence of rivers, Lake Iseo creates a mild climate and favours the growth of a luxuriant vegetation all around the hills. This destination web page has been visited 122,533 times.